The Awesome Fest and Tribeca Film have teamed up to bring four new releases to Philadelphia, over the course of two nights, beginning on April 30th, just on the heels of their release in New York and on VOD nationwide. Each screening is free and will take place at The Trocadero Theatre. All four titles will be making their Philadelphia Premiere, having been just made available on VOD nationwide on April 17th, one day before their US premiere at the 2012 Tribeca Film Festival in New York City. THE GIANT MECHANICAL MAN is a charming comedic romance between Janice (Jenna Fischer), a woman in her 30’s who has yet to learn how to navigate adulthood and Tim (Chris Messina), a devoted street performer who finds that his unique talents as a “living statue” don’t exactly pay the bills. Out of work and forced to move in with her overbearing sister (Malin Akerman), Janice is on the receiving end of well-intentioned but misguided pressure to date an egotistical self-help guru (Topher Grace). Everyone seems to know what’s best for Janice, but Tim helps her find her own voice and realize that it only takes one person to make you feel important. Donald is a teenager with extraordinary artistic talents. His future as a graphic novel artist should be bright. As his life is consumed by fantastic daydreams, Donald soon discovers that a very real enemy is trying to kill him. 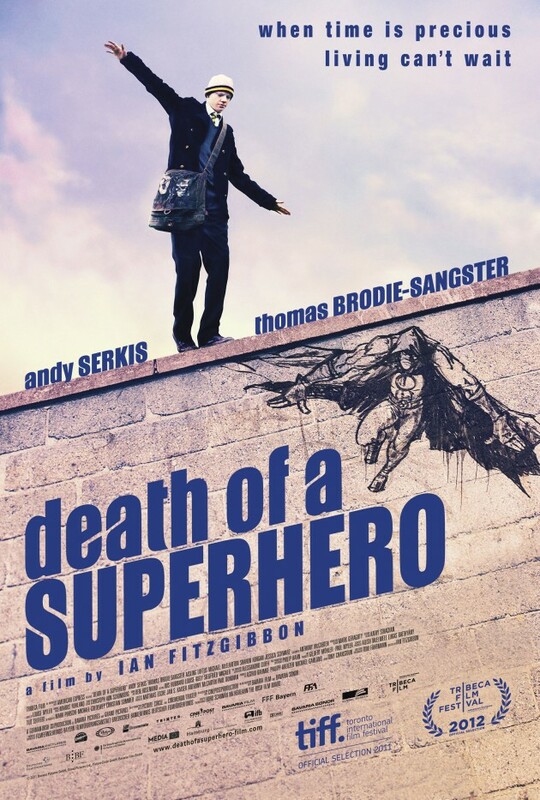 With an unorthodox psychologist teaching Donald to find the light in life in an otherwise dark world, DEATH OF A SUPERHERO tells the story of discovering life, love, and death in this exceptionally honest portrayal of a teenage boy facing his own mortality. Directed by Ian FitzGibbon (PERRIER’S BOUNTY) and based on the novel by internationally acclaimed author Anthony McCarten, DEATH OF A SUPERHERO stars Andy Serkis (THE RISE OF THE PLANET OF THE APES, THE LORD OF THE RINGS, THE HOBBIT), Thomas Brodie-Sangster (LOVE ACTUALLY, NOWHERE BOY, BRIGHT STAR), and Michael McElhatton (ALBERT NOBBS). In 1965, filmmaker Frank De Felitta made a documentary for NBC News about the changing times in Mississippi that featured Booker Wright — an African-American waiter who worked in a ‘whites only’ restaurant. Booker went on national television and exploded the myth of who he was and his position serving the white community. 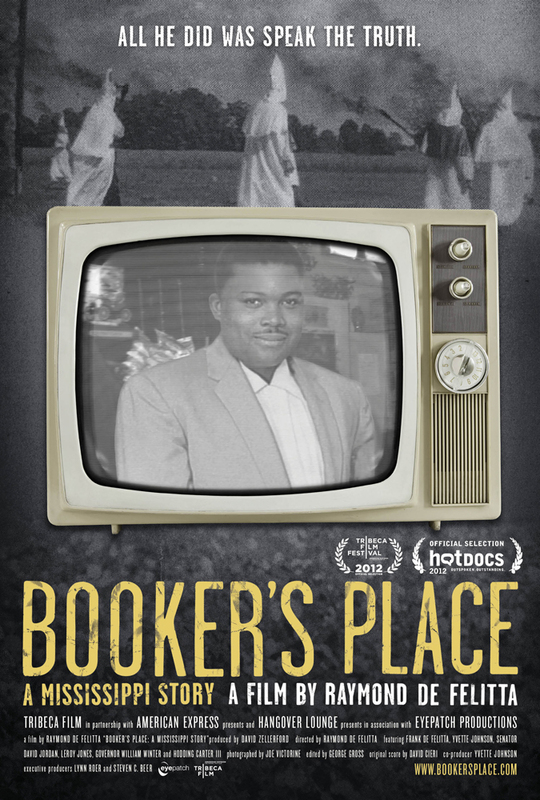 46 years later, Frank’s son, director Raymond DeFelitta, documents a journey into the past and current day Mississippi with Booker’s granddaughter, in search of who Booker Wright was, the intricacies surrounding his courageous life and untimely murder, and the role Frank DeFelitta’s documentary may have played in it. 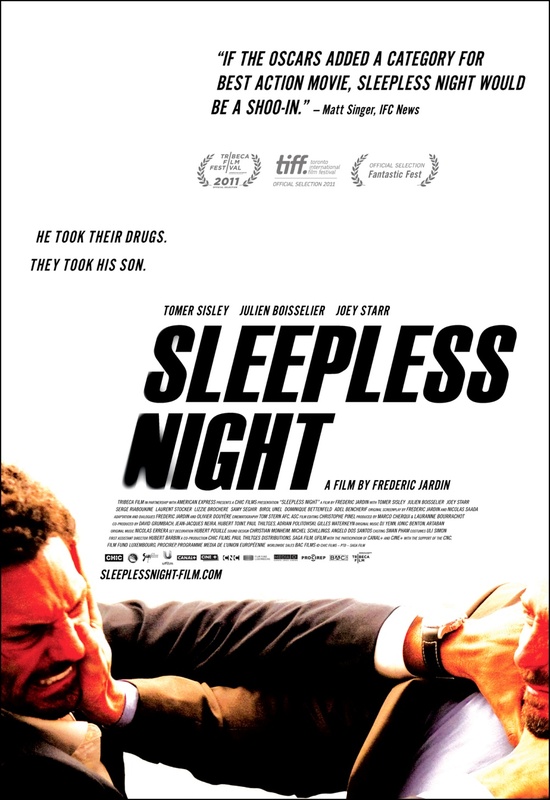 SLEEPLESS NIGHT tells the story of Vincent, a respected and dedicated police officer – or so it seems. After he and a colleague are recognized while stealing a massive bag of cocaine from drug dealers employed by local mob boss Marciano, Vincent quickly finds himself trapped in a situation that no parent would envy: his son has been kidnapped with the promise of execution if he doesn’t immediately deliver the bag back to its rightful owner. Vincent heads to Marciano’s nightclub on the outskirts of Paris to make the swap, but competing interests and misplaced loyalties soon threaten to complicate the exchange. The ensuing game of cat-and-mouse quickly spirals into madness, sprawling across every seedy back room and pulsating, claustrophobic inch of the crowded dance floor. With enemies on all sides and time working against him, the night to come might not only be the longest but also the last of Vincent and his young son’s life.